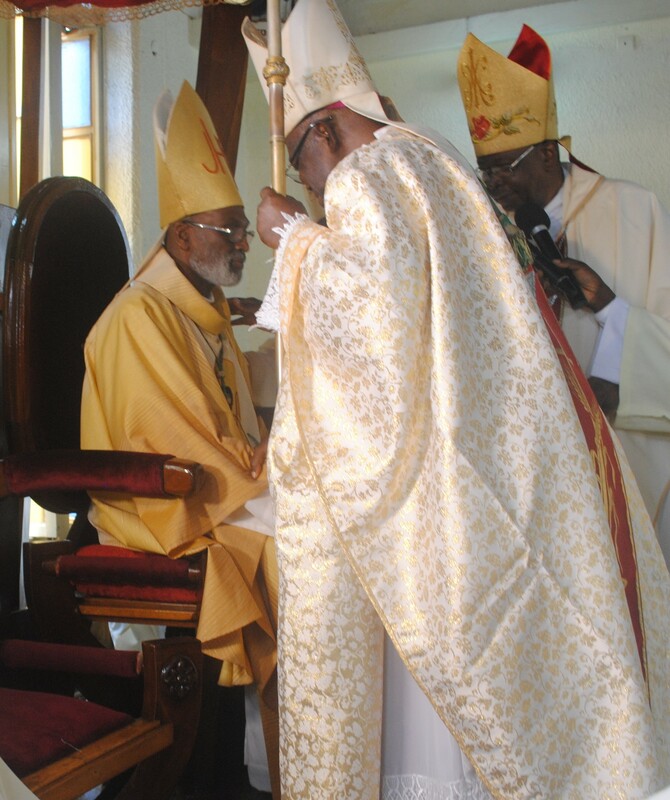 Archbishop Charles Gabriel Palmer Buckle has been installed as the fifth Archbishop of Cape Coast with a call to the clergy and the Religious to be ever ready for any kind of missionary work. The installation Mass which took place at the St. Francis de Sales Cathedral, happened in the presence of many bishops, priests, vowed Religious, lay faithful and government representatives. In the homily, the newly installed Archbishop said that he had been trying to understand the mind of God in the new leadership mantle he had been given and the conclusion he had arrived at had been a desire to do the will of God. He said he had responded to the invitation of the Pope to be in Cape Coast because of the inspiration he got from the early SMA Missionaries, who accepted to leave their comfort zones to minister to the people of the Gold Coast. The sacrifices of the early missionaries should spur all Catholic believers to see the need to embrace the challenge of missionary work and die a little for the full realization of the Kingdom of God, he said. He assured the faithful of the Cape Coast Archdiocese that he had accepted to come to the Archdiocese to do the will of God and he would need the prayers and support of all to make his stewardship successful. He urged all Christians to detach themselves from comfort and claims of entitlement and endeavor to sacrifice a little for the peace and development of society. To the civil and public servants, traditional leaders and the clergy, he said they should be good shepherds to the sheep entrusted into their care. Most Rev. Philip Naamen, the President of the Ghana Catholic Bishops Conference in his good will message on behalf of the Conference, praised Archbishop Buckle for the hard work he had shown wherever he had been appointed. He said that success had always followed wherever Archbishop Buckle had worked and so they were optimistic that he would demonstrate that same kind of commitment in his new appointment. He further urged him to hold on to his devotion to the Blessed Virgin Mary in all he would do in his new apostolate. The Conference assured him of their support and prayers. They also made a donation. 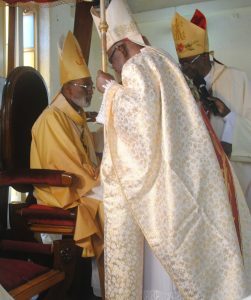 The priest and the religious paid their allegiance to the newly-installed Archbishop and pledged their unflinching support for him to him succeed. The Central Regional Minister, Hon Kwamena Duncan and Osabarima Kwesi Atta, the Oguamanhen welcomed the Archbishop and showed their happiness about having him come to work in the Region. Hon. 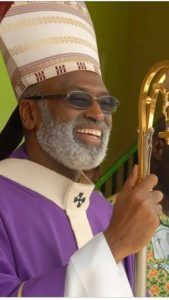 Kwamena Duncan described the Archbishop as ‘towering figure in the country’ because of his role in the National Reconciliation Commission’s activities and urged him to avail to the Region his wisdom in order to move the Central Region forward.